We’re big fans of telling you to autocross everything, but that same piece of (good!) advice should apply to autocross’s dirtier, more laid-back cousin: rallycross. Rallycross absolutely everything. Especially if it’s classic metal. 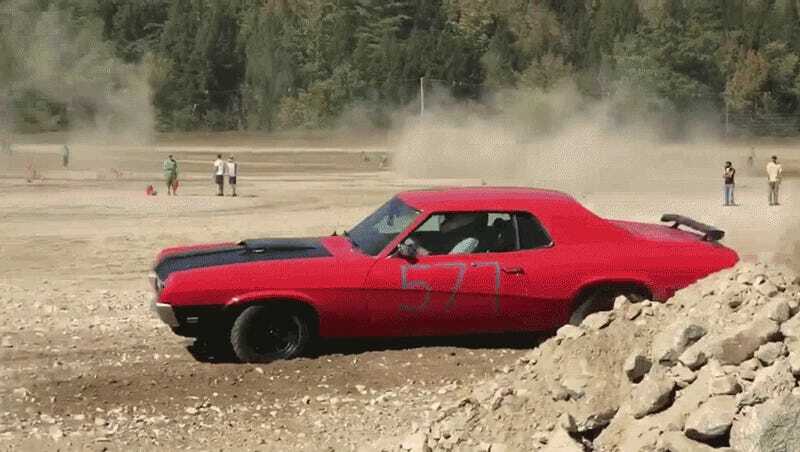 This fantastic first-generation 1969 Mercury Cougar was run by Dylan Gondyke at a recent rallycross. We’ve featured this car before, and it’s still a joy. This time, we’ve got an external view of the car kicking up dirt and rocks in all its glory, so you can take in the full experience of seeing a car larger than your first apartment get a bit of oppo. This thing hoons in the dirt so well now that I’m going to have the Dukes of Hazzard theme song stuck in my head all day. Do you have a car? Does it run? Start? Exist? Is your local rallycross group okay with it running? Then you should probably rallycross it.